It is time for our 2nd Annual PCC Harvest Raffle! As a thank you to our patients, we are holding a Harvest Raffle full of prizes that include all of our favorite products. The best part? The tickets are free to collect! How do you get these raffle tickets? The last Raffle Tickets will be given out Saturday November 29th. The Prize Drawing will be held November 30th, and the prizes can be collected December 1st through 31st! 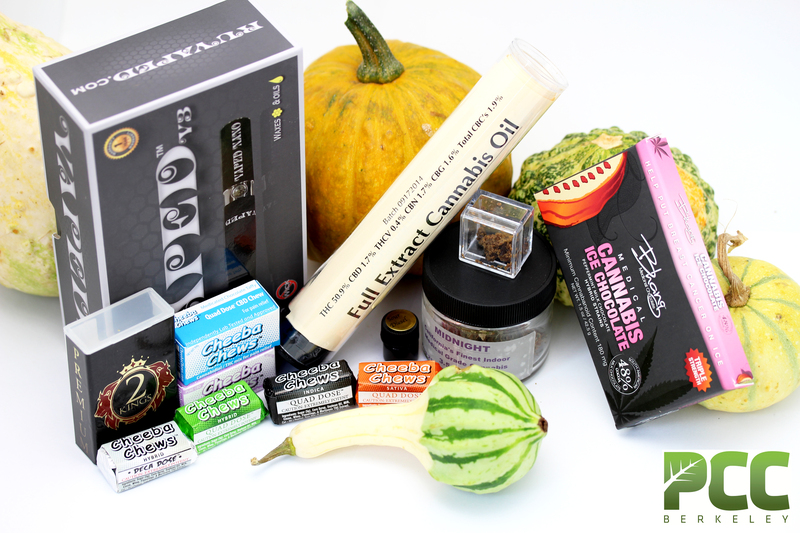 Grand Prize: One 1/8 of Flowers of your choice AND 1 Gram of Concentrate of your choice. That’s right, if you win this Prize, you can choose any 1/8th of Flowers you like AND any 1 Gram of Concentrate. …. and lots more still to be revealed! Check back here and follow us on Facebook, Twitter, and Instagram. Thank you for choosing PCC!